Microservices allow applications to be created using a collection of loosely coupled services. The services are fine-grained and lightweight. This improves modularity and enables flexibility during the development phase of the application, making the application easier to understand. When designing applications, identity becomes a key factor to building out a personalized user experience. Identity also enables other microservices for tasks like authorization applications like Axiomatics, single sign-on, identity management and compliance. However, access to profile data presents a challenge since it is contained across multiple repositories, contained in other applications or even must be consumed from other microservices. The Identity Microservice must be able to not only respond to requests through a standard protocol for identity information, but must also have the means to reach out to these identity repositories in an efficient and responsive manner. The Identity Microservice must also allow for both user-driven and server-to-server access to identity data. 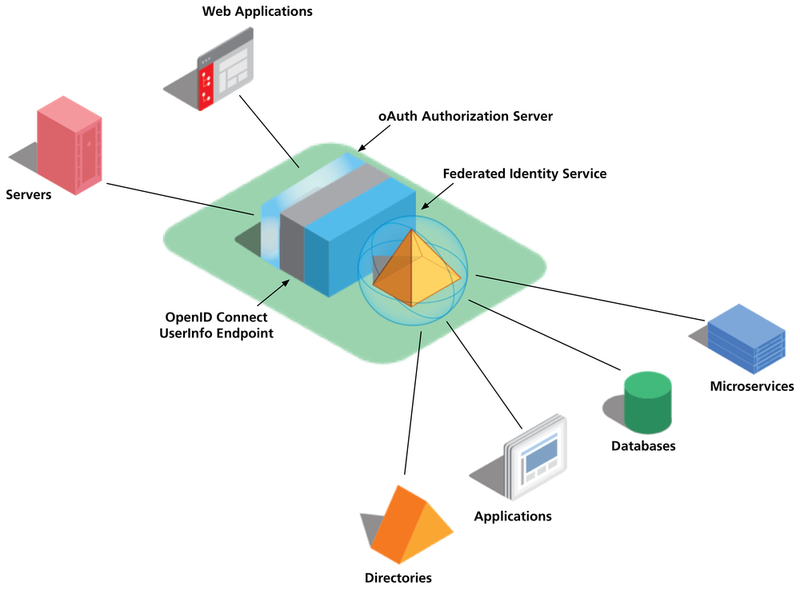 Today, the Identity Microservice’s components are based upon open standards and are both lightweight and highly leveraged by web applications and servers. Each of these flows require a different means of interacting with the Identity Microservice. Identity is at the core of nearly all web applications - everything from the initial authentication and authorization through to personalization with profile data. When logging into your banking application you not only need to securely identify you as the user, but also must authorize access to your accounts and personalize the site for your profile. Would you trust a banking application that listed your identity as “User”? While similar to the user-driven Web Application flow, no user interaction is present for this transaction. The Server-driven flow allows for backend access to profile data. In this case, the server is being authenticated and not the user. This allows the server to access the same profile data as defined for a Web Application. Additionally, the same views in the Federated Identity Service can be leveraged, if desired, for both Servers and Web Applications. The Identity Microservice allows for powerful, yet lightweight access to all the needed profile data in an efficient manner. This microservice can provide what is needed at the core of all applications, and for the Server-driven flow can even be used for transaction-specific data unrelated to users. As the world moves toward the model of easily consumable services, the Identity Microservice must be one of the main considerations when designing an application.